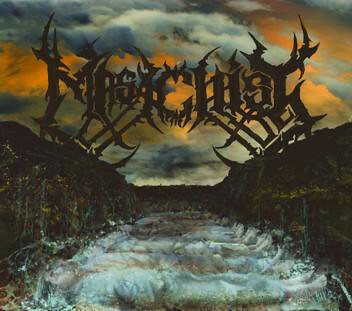 MASACHIST, the project featuring Thrufel (AZARATH, YATTERING), Daray (drums; DIMMU BORGIR, VADER, VESANIA, NEOLITHIC) and vocalist Pig (Wojciech Wasowicz, a.k.a. Sauron, DECAPITATED), will release its debut album, "Death March Fury", at the end of this month in Poland by Witching Hour Productions, which is run by Bart from HERMH. The band says, "Expect deluxe packaging, and, of course, crushing sounds!" "Death March Fury" was recorded at Progresja Studio and features cover art by Eliran Kantor, who has previously worked with TESTAMENT. Check out audio samples on the group's MySpace page. MASACHIST is currently seeking a suitable label to release the album in other territories.